The start of the University season is just around the corner so let’s be realistic. Being a student American Footballer isn’t easy when student loans are tight and nights out are more than once a week and you still want to compete against your fellow team mates for the starting position. How can you manage the student life, plus perform at your best? It’s simple to say cut out the partying, drinking, lack of sleep and poor diet but realistically, only a few will have the dedication to do so. So here are my tips to help you find a better balance while playing playing American Football at university. Change what you drink. Stay away from heavy alcoholic drinks which will help you put on the pounds such as beer and larger etc. Lower body fat = better performance on the field. Stick to the lower calorie spirits such as vodka and gin with low calorie, sugar free mixers such as tonic water, sugar free coke etc. After a night out try not to binge on takeaways. Instead, have a meal ready for you when you get home such as a bowl of cereal or some leftovers from the dinner you ate that evening. Don’t drink alcohol straight after training. Instead, re-hydrate post exercise with milk and water. Money can be tight and gym memberships can be expensive but that’s no excuse not to train. Find yourself a patch of carpet and perform body weight exercises in your own home! Perfecting body weight exercises are essential to training so don’t worry that you’re not lifting weights yet! Additionally, group together as a team and train at your local park such as sprint training, circuit training and/or plyometrics. You’ll develop a wicked summer tan whilst catching up with friends. You might also group together to purchase small pieces of equipment such as resistance bands, skipping ropes or cones which you can share between you at these training sessions. Hydrate well. Grab yourself a litre bottle of water from the local shop for approx. 50p and re-fill this until it sprouts a leak! Hydration is key to optimising performance, especially when you’re likely to have been on the booze, lost a lot of bodily fluids in training and aren’t eating the best food. Don’t let your studies fall behind. 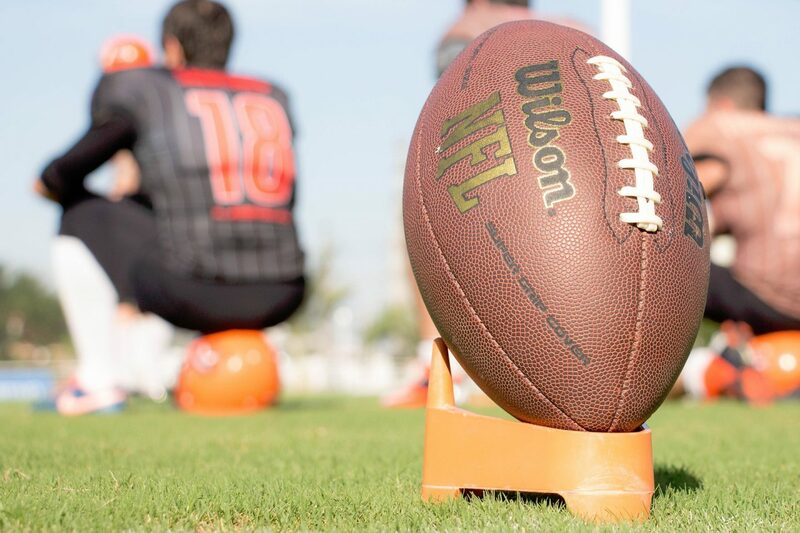 Find a balance between work, football and fun. Plenty of times I have seen players missing training and games simply down to poor prioritising. Don’t let this be you. Plan your days, weeks and months properly up to deadlines to avoid the stress from lecturers, coaches and players. Listen and learn. Your coaches volunteer their time several days a week to help the team improve due to their love of the sport. Often with a great number of years experience, these coaches part with their knowledge to enable individuals to progress. Listen and draw in as much information as you can. Ask them questions to improve your game so that you can become the best player possible. Do not become disheartened if your coach gives you criticism, this will only be constructive so you can improve your skills. Take it on board and work on it. Show your coaches that you are willing to do your all for the team and you will get something back. Look after your injuries. Follow the necessary steps to recover speedily. This should include regular stretching and foam rolling.